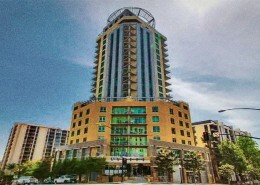 Cortez Blu Condos is a 20-story high-rise on the corner of Ash Street and 8th Avenue in the Cortez Hill neighborhood of downtown San Diego. Cortez Blu was completed in 2006 by K. Hovnanian and offers only 67 residential condo units. 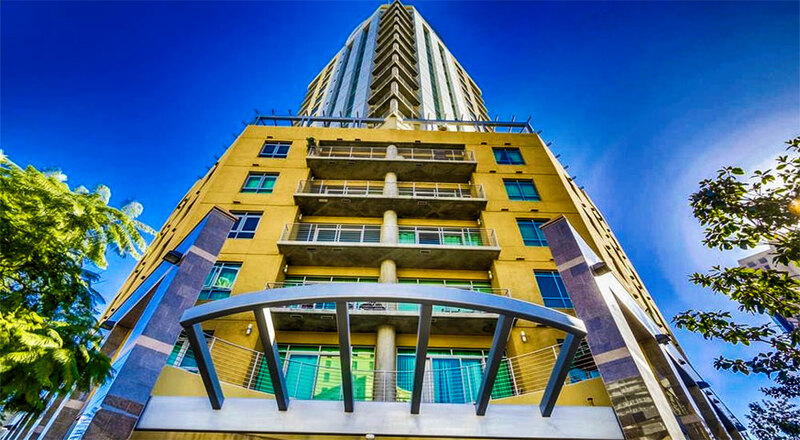 Cortez Blu contain no more than five units per floor with most floors containing three units and only one at the penthouse. It offers one and two bedroom condo floor plans ranging in size from approximately 580 to 1,250 square feet. 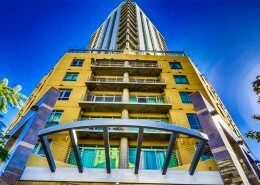 The penthouse unit is 1,880 square feet and features an expansive private terrace. 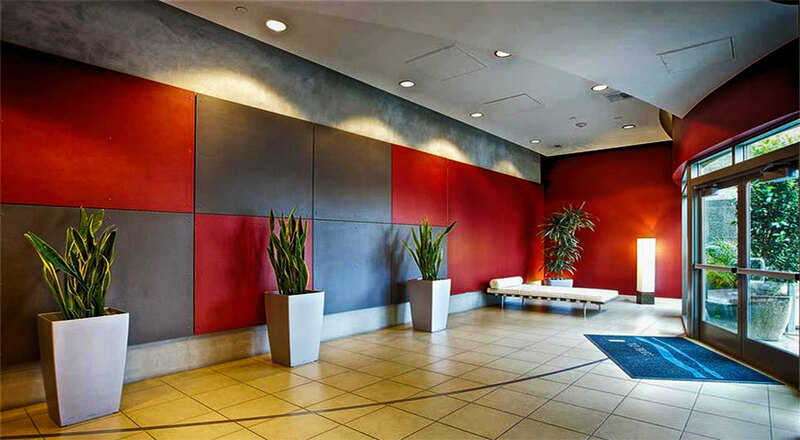 Most condos feature a balcony or terrace and exposed concrete ceilings. 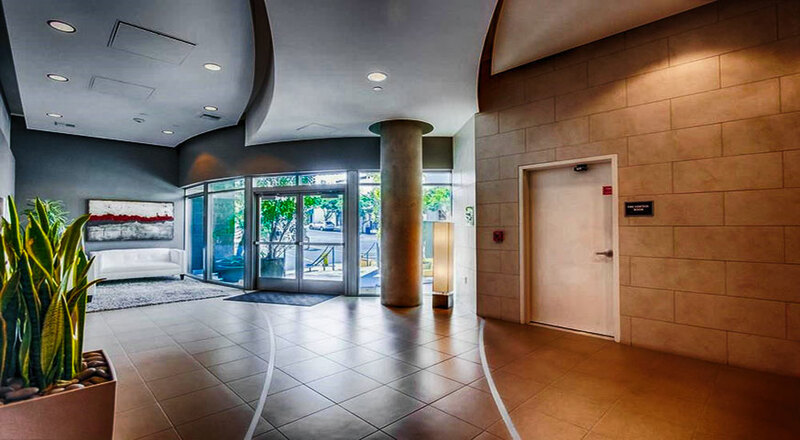 Amenities at Cortez Blu include a key card entry and a bicycle storage room. 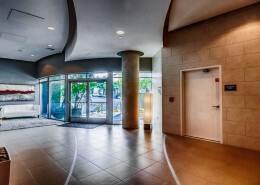 No other amenities are offered. 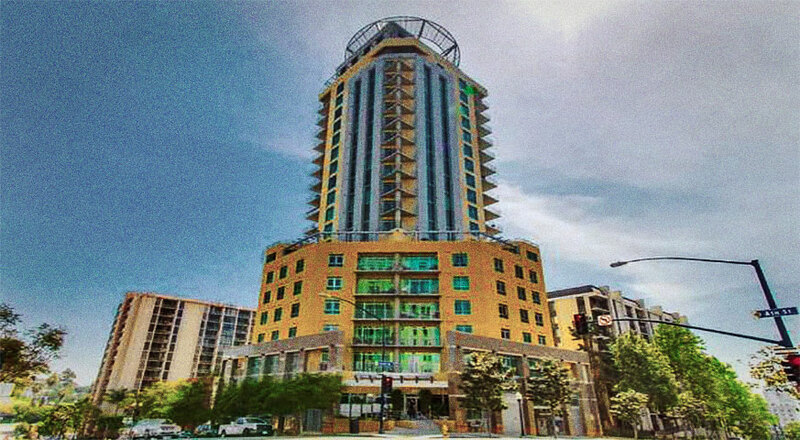 Homeowner Association dues at Cortez Blu condos start at $430 per month. 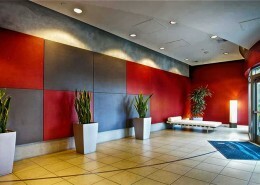 Below you can find currently available condos for sale in Cortez Blu San Diego. There might also be additional condominiums available that are not listed in the listings database. 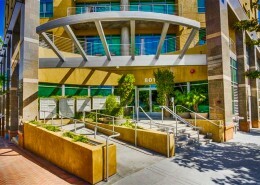 Please call us at (619) 921-0284 for more information and availability in Cortez Blu San Diego condos for sale. 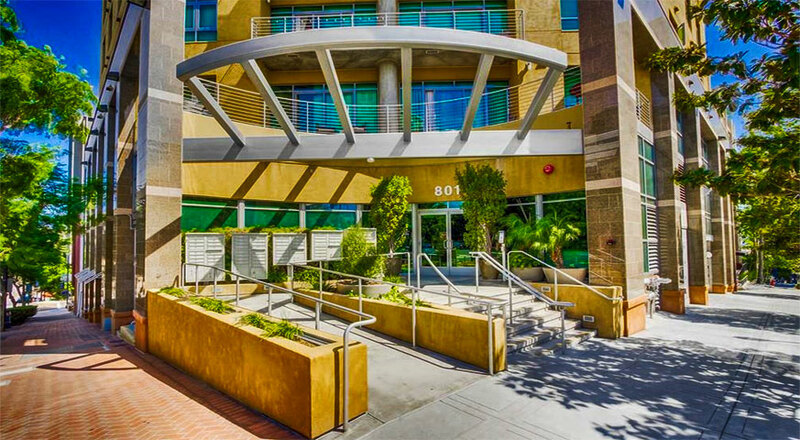 Explore and compare similar Downtown San Diego Condo Buildings in Cortez Hill or View all Downtown San Diego Condo Communities on the Map.